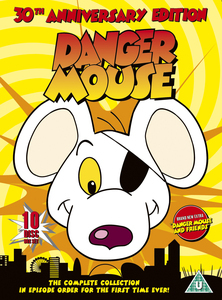 Danger Mouse: 30th Anniversary Collection. Pack shot for the upcoming UK complete Danger chuột collection. Wallpaper and background images in the hoạt hình club tagged: cartoons television shows animation kids cosgrove hall classic. posted cách đây 12 ngày.